Today, on the first ever Universal Health Coverage Day, the Worldwide Hospice Palliative Care Alliance, one of the founding global partners for the Day, has released a report on “Palliative care and Universal Health Coverage: Do not leave those suffering behind”. The report looks at the situation of palliative care in relation to Universal Health Coverage policies, schemes and discourse. It suggests some of the barriers that may have prevented the greater inclusion of palliative care in Universal Health Coverage policies and schemes and looks at case studies in England, Mexico, Singapore, South Africa and the Republic of Ireland highlighting the extent to which palliative care is included. It also provides recommendations on how palliative care needs to be addressed in policy, service delivery, education, financing, monitoring and advocacy relating to UHC in order to make this vital care available and accessible to those who need it, without causing financial hardship. 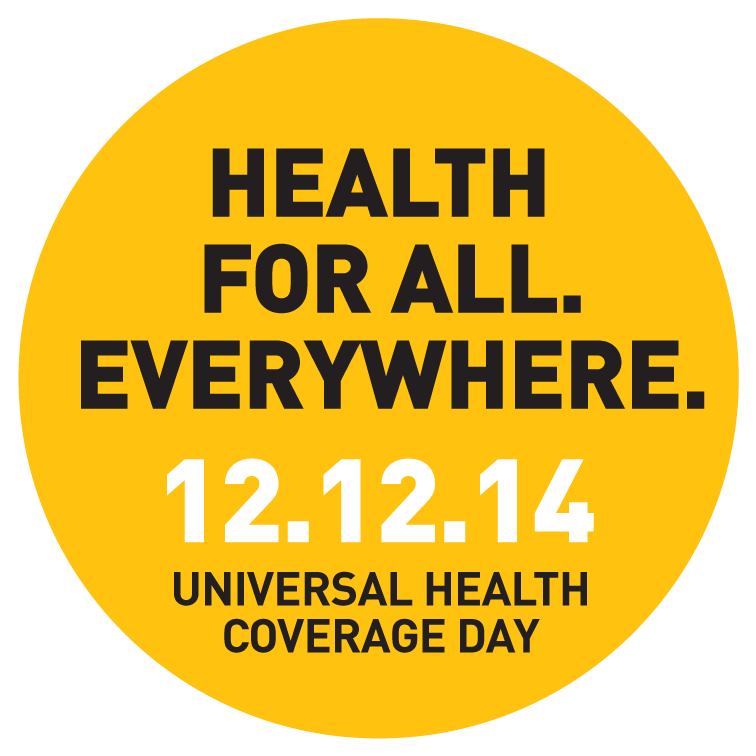 The WHPCA is delighted to be joining with other around the world to call for Universal Health Coverage and "Health For All"!